Kask’s Mojito helmet, a mid-range helmet amongst the Italian helmet maker’s burgeoning lineup, has got itself some storied history. It was Team Sky’s top flight helmet of choice between 2012-2014, before the brand (and Sky) really took off. The Protone and the Valegro have since taken its place as the flagship helmet(s), but the Mojito remained popular due to its fit, ventilation and competitive price. And Kask is now ready to bring forth the next iterations of the Mojito: The Mojito X and Mojito X Peak. (L-R) Breathable, low-density EVA paddings and dual pivot fit adjustment system controlled via a single ratchet in the rear. Both helmets are essentially identical products featuring 26 vents, a dual pivot fit adjustment system controlled via a single ratchet in the rear, breathable, low-density EVA paddings as well as Kask’s signature eco-leather chinstrap. The only difference between the two helmets is that the gravel-oriented X Peak comes with a flexible removable visor to combat glare and natural elements one might encounter on a dirt ride. Moving onto the helmet shell, both the Mojito X and Mojito X Peak borrow technologies found in the higher-end offerings such as co-molding that combines the impact-absorbing polystyrene cap with the hard polycarbonate outer shell into one cohesive unit. 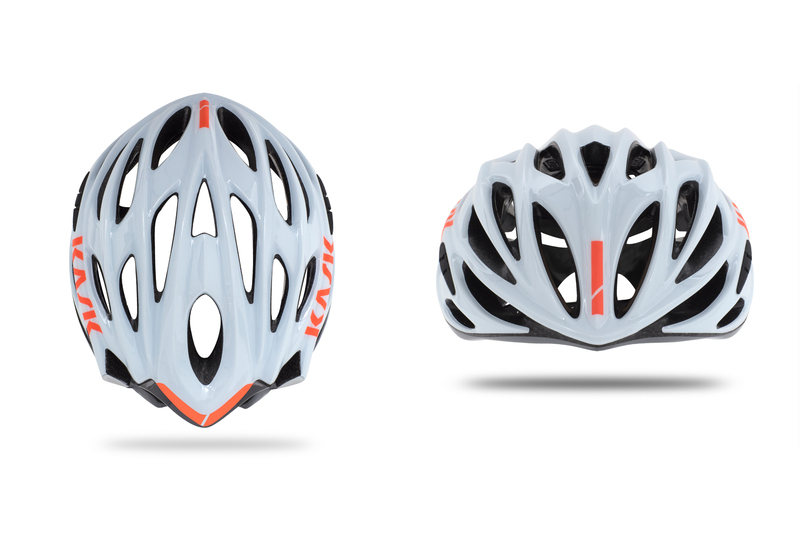 The polycarbonate outer shell, in what Kask calls MIT technology, is also said to offer better protection by extending its coverage beyond just the top of the helmet and into the back and the base of it. The decals are also reflective for better visibility in less than ideal conditions. Four sizes from 46cm to 64cm are now available. The X will come with 14 different colorways (above) for $199.95 whereas the X Peak will only be offered in black, red and white (below) for $206.95.